The Wild Animal Sanctuary has completed the purchase of a 9,004-acre ranch located in southeastern Colorado near the agricultural community of Springfield. 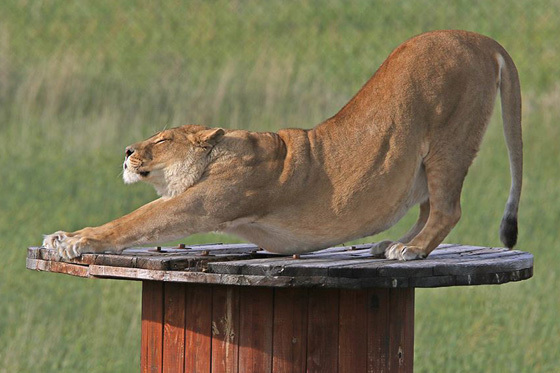 With more than 460 lions, tigers, bears, wolves and other rescued animals currently residing at the non-profit organization's facility near Keenesburg, Colorado, the need for additional space drove the organization to seek additional land to continue fulfilling its mission. Working with law enforcement agencies and other animal welfare groups within the United States and around the world, the organization had reached capacity at its 789-acre Sanctuary located just thirty miles northeast of Denver, CO. Already considered the largest carnivore sanctuary in the world, the organization chose to purchase the large contiguous parcel near Springfield due to its size and abundant natural amenities. Consisting primarily of hills, canyons and rocky bluffs blanketed in various species of pine trees, as well as valleys and pastures flowing with native grasses, Sanctuary management says the property is well suited for hosting wildlife. The additional land will allow The Wild Animal Sanctuary to continue rescuing and rehabilitating captive wildlife for many years to come. The organization says it has no plans to close its Keenesburg facility, since it continues to educate more than 150,000 visitors annually. The site also features a unique 1.5-mile long elevated walkway that holds the Guinness World Records award for Longest Footbridge. According to The Humane Society of The United States (1), tigers, lions, and other big cat species have exploded in popularity in the exotic pet trade. There are an estimated 5,000 to 7,000 tigers in the United States, but fewer than 400 of them are in zoos accredited by the Association of Zoos and Aquariums. The Foreign Policy Group (2), and World Wildlife Fund (3), also recognize the Captive Wildlife problems within the United States that lead to so many tigers and other exotic animals needing sanctuary. Last year marked the 38th year of rescuing exotic and endangered animals for the wildlife sanctuary. The 789-acre facility outside of Denver, Colorado had functioned as the primary facility for the organization, but now the larger and more natural tract near Springfield will become the main receiving facility for new rescues. The Sanctuary specializes in rehabilitating captive wildlife and releasing them to live and roam freely within large natural habitats.